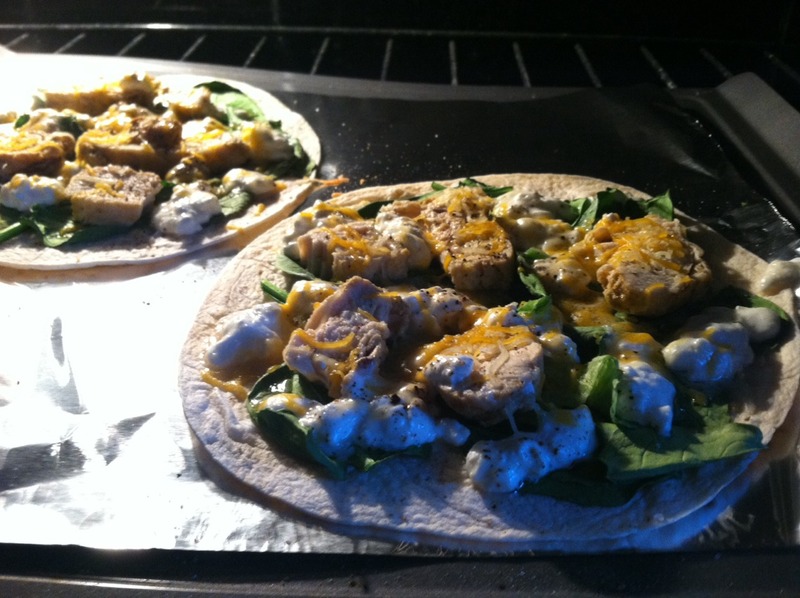 Ingredients: Tortilla Cottage cheese Spinach Cooked chicken Shredded cheese Directions: Put spinach and chicken on tortilla first, then a few drops of cottage cheese! 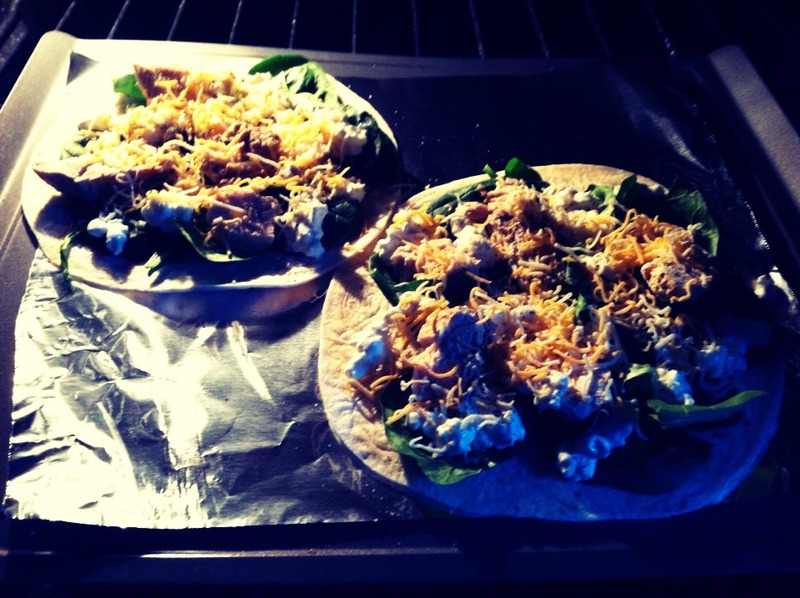 Sprinkle the shredded cheese on top! Bake in oven at 350 degrees for about 10-14 minutes! Let cool and enjoy!! !